These words were the first words my dad heard when he woke up from surgery on a day like today, eight years ago. It is impossible to reduce to one post all of the events leading up to that day and everything else that followed, but one thing I can say is that I couldn’t feel more grateful today. It’s easy to take things for granted; life is one of those things. We think we are indestructible and that no one can knock us down, then life happens and our body starts to fail. 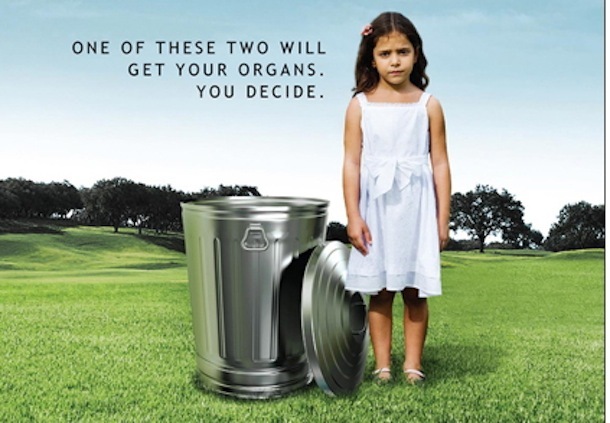 Organ donation had never been something that I really thought about. When I got my driver’s license I was afraid of registering as an organ donor because I thought that if I had an accident it would affect my treatment (MYTH). Then my dad was told that in order to save his life he would need a new liver and everything changed. I think about this every single time people say they need a new liver because they drank so much over the weekend. Truth is, my dad owes his life to a stranger in Florida who passed away and donated his liver. Whether it was that person’s choice or his family’s, we don’t know. Still, life is life and I’m grateful. Life is weird and it changes its course as it pleases, without making announcements or informing threats. I’ve been grateful to have my dad with me for eight “extra” years and I can only hope that the number keeps increasing. Needless to say, I’m now a registered organ donor. To learn more about organ donation, click here. Currently, more than 120,000 men, women and children are awaiting organ transplants in the United States.